Are you searching for a nonsurgical solution to firmer and tighter skin that reduces the appearance of thin, loose, crepey, and sagging skin? Consider a PDO thread lift. At Southeast Sculpting + Rejuvenation in Fort Mill, South Carolina, Joe Robinson, MD, provides this innovative, effective, and increasingly popular solution to restoring your skin’s youthful vitality. Call the office to schedule a consultation or book your visit online today to find out how PDO threads can take years off your appearance. During a PDO thread lift, Dr. Robinson inserts sutures (threads) made from polydioxanone (PDO) under your skin to provide the smoothing and firming effects of a facelift without the need for surgery or weeks to months of recovery. A PDO thread is a biocompatible material that is strategically placed to “pull back” or tighten the loose and sagging skin of the lower face. Invisible once placed, the threads dissolve over time, stimulating collagen production, and offering support to the underlying tissue. This natural skin repairing and rebuilding effectively restores your skin’s youthful tone and vibrance at the cellular level. The results are immediate and relatively long-lasting, 1-1/2 years or more, and can be repeated in the future when results have faded. Depending on the type of thread used, PDO threads can correct many skin flaws, including acne scars and the fine lines and wrinkles associated with aging. What are the types of PDO threads? There are essentially two types of PDO threads available, smooth and lifting. Dr. Robinson uses the lifting threads to firm and tighten the skin of your jowls, neck, corners of your mouth, upper cheeks, and other areas affected by the aging process. Smooth threads produce less of a lift but are excellent at stimulating collagen production. They’re often used to outline your upper lip or correct lines and wrinkles in the region between your eyebrows. Dr. Robinson also uses smooth threads to reduce acne scarring and other similar flaws. You can expect a thorough discussion with Dr. Robinson regarding the procedure and your expectations before scheduling your thread lift. He often recommends a combination of smooth and lifting threads to accomplish your desired goals. How long does it take to heal after a PDO thread lift? The quick recovery time following a PDO thread lift is one of its biggest advantages over a surgical facelift. The team asks that you avoid rubbing your face vigorously and sleeping directly on your face for a week following the procedure. Otherwise, you can expect to return to normal activities once you leave the office. Dr. Robinson has the medical expertise and skill necessary to ensure your PDO thread lift is successful. 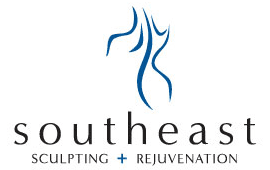 Call Southeast Sculpting + Rejuvenation or make an appointment online today.